Last week we shared with you some tips to keep in mind in our post Fall Cleaning for Optimum Health. This week we’re sharing some basic, natural ingredients you can use to get your home to sparkle! Many cleaners on the market are filled with not so natural ingredients that can aggravate our breathing, sinuses and aren’t so easy on the environment. The natural ingredients below are cheaper, do just as good of a job and are much healthier for you and the planet. Also known as Sodium Bicarbonate, good old fashioned baking soda is known for it’s abilities as a gentle yet effective scrub and neutralizer of odors. Here are some great uses for this ingredient in home cleaning. . .
~ Sink and bathtub drains getting clogged and smelling not so fresh? Pour half a cup of baking soda down the drain, along with half a cup of vinegar. Watch it fizz and bubble and ponder the wonders of science! Rinse with several cups of hot water and use the excess in the sink to scrub down the sides and bottom for a sparkly shine. ~ Many of you probably already have a box in your fridge to absorb nasty smells. (Activated Charcoal also works well for this!) 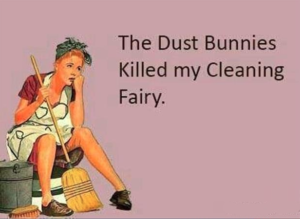 and we recommend sprinkling some into the trash can and putting a box in closets as well to eliminate odors. ~ Have those old metal tracks in your windows that get clogged up with dirt and grime? Here’s a great trick to clean them using baking soda and a few other ingredients from theintentionalmom.com! ~ Freshen up mattresses by combining five tablespoons of baking soda and five teaspoons of lavender essential oil and using a sieve to sprinkle over the mattress. Leave it there for about a half hour and then vacuum up. Black tea is brilliant for cleaning your hardwood floors. Black tea contains polyphenolic compounds which helps eliminate germs and the tannins in the tea help enhance the color of the wood and hide small scratches. Another natural item to use to help hide scratches in your wood floor are walnuts. Yes walnuts! Rub the meat of the nut into the scratch and it fills in the crack to smooth the surface. Vinegar is extremely versatile. It works like a charm at cleaning glass and windows. Just mix half vinegar and half water in a spray bottle. Try using newspapers instead of paper towels or rags for less lint and a streak free shine. Vinegar is also your go to for getting rid of grime, grease and stickiness on surfaces. Have kids in the home who like to put stickers on every surface they aren’t supposed to? Squirt a little vinegar on it, let it sit for a bit and the sticker should wipe up in no time. Vinegar is also great for getting rid of mineral deposits around faucets, shower heads and in automatic coffee makers. The smell of vinegar fades pretty quickly but if you just can’t stomach the scent, add in a little essential oil of your choice or try out this Pine Scented Vinegar recipe. This powerhouse ingredient is known for whitening and brightening as well as killing bacteria. It can be used in the laundry to whiten and get rid of yellowing, on cutting boards to kill germs and on shower curtains or other items that have mold and mildew. Battling filthy tile and grout? You don’t need bleach and other harsh chemicals. Mix together ½ cup baking soda, ¼ cup hydrogen peroxide and 1 teaspoon of liquid dish soap and gently scrub the grime away. Natural does not always mean safe! Hydrogen Peroxide + Vinegar = Peracetic Acid which can corrode surfaces and can irritate your skin, eyes and lungs. So never combine these two ingredients together.